The Volkswagen Golf family was recently introduced for the 2018 model year at the New York International Auto Show. Each model shown across the lineup had received a number of updates including refreshed designs, driver assist updates and added technology. Today let’s focus two of the models that we get the most questions about – the 2018 Volkswagen Golf R and 2018 Volkswagen Golf GTI, both performance-based Golf models. The entire Volkswagen Golf lineup is set to be released in the fall of 2017. 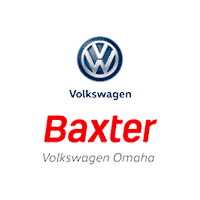 Keep checking back on the Baxter Volkswagen Omaha inventory pages to see when the 2018 Golf GTI and 2018 Golf R have arrived so you can be one of the first customers to get behind the wheel with a test drive.